600 B/O Princeton Will Be Part of Residential Parking Permit Program Effective April 16. | Park View, D.C.
600 B/O Princeton Will Be Part of Residential Parking Permit Program Effective April 16. 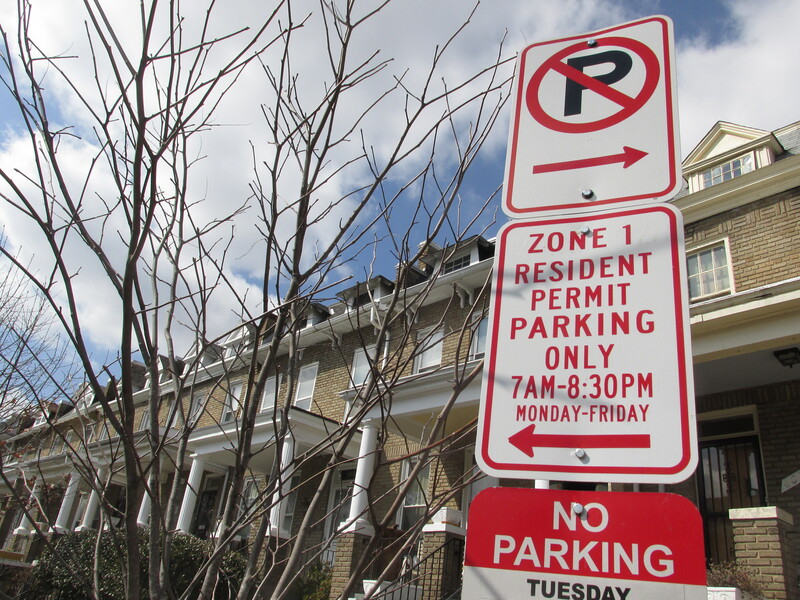 If you live on or near the 600 block of Princeton Place, NW, you will have noticed that the signs for residential permit parking have begun to be installed. These north side of the street will be reserved for Zone 1 residents only (or those with visitor passes). During the initial installation, Zone 1 signs were also installed on the southern side of the block, but after alerting the District Department of Transportation (DDOT), I have confirmed that the southern side of the block will have the green and white 2 hour parking signs allowing visitors to park on that side of the street without a visitors parking pass. DDOT’s sign crew began the process of fabricating the green and white signs on Friday, March 20, and will install them on Princeton soon. Enforcement will begin on Monday April, 16, 2015. (DDOT notice here). This entry was posted on March 23, 2015 at 7:01 am and is filed under DDOT, parking. You can subscribe via RSS 2.0 feed to this post's comments. FYI – I live on this block and one of my roommates just received a ticket from DPW/Parking Enforcement today for failure to obtain a RPP, despite the grace period the notification letter laid out. Upon taking the ticket to a local DMV service center, she was told that she could expect to receive a ticket every single day, because Parking Enforcement is not aware of the grace period that we were given by DDOT.